I have an essay in this recently-published volume, edited by Jadwiga Pieper Mooney and Fabio Lanza (Amazon; Routledge book page which has a detailed content list). The book project arose out of a conference of the same name that the editors organized at the University of Arizona in 2010. May I confess here to being a skeptic of conference-derived edited volumes, but then also say that I think this one is very good? The general idea of trying to write the Cold War as if it were not something constructed only by the states that fought it gives the book its unifying theme and the individual essays pay off that promise. 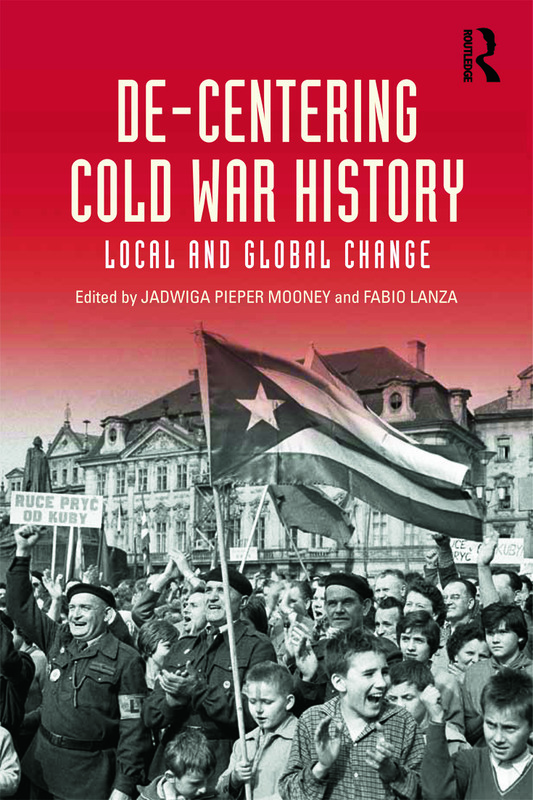 There are a number of pioneering pieces here–Pierper Mooney’s chapter on the Women’s International Democratic Federation is one of the finest examinations of a Cold War “front” organization that I’ve read. There was a lot of original and interesting work on display at the conference, and it has carried over very nicely into the book. Although anti-Communists were correct in seeing the Peace Movement as part of Soviet efforts to enhance its diplomatic leverage and its prestige among intellectuals at home and abroad, they often misread and overstated the movement’s potential power. The House Committee on Un-American Activities (HUAC) called the Peace Movement “the most dangerous hoax ever devised by the international Communist conspiracy,” and warned that its goals were to sap American morale, taking advantage of good-well and hatred of war to secure converts to treason. Since the Partisans of Peace movement was interpreted by the U.S. government as a problem of national security, the CIA came to support the creation of the anti-totalitarian Congress for Cultural Freedom to counter its influence among intellectuals. The Congress was the most important of the CIA’s Cold War projects of aid to “civil society” groups. Where the World Peace Council blended advocacy for peace with the defense of Soviet interests, the Congress for Cultural Freedom was often similarly guilty of associating cultural freedom with U.S. interests. With the interests of powerful states clearly at hand, it is tempting to give them full responsibility for the conflict. But, as this chapter shows, the U.S. government also relied on existing networks of anti-Communists to bring the ideological civil war among the left-wing intellectuals into the official Cold War. In part, the “anti-Peace” campaign depended on the interests of local and national governments whose actions were sometimes prodded, but not necessarily determined, by U.S. government action. Fundamentally, it required networks of anti-Communists who had been active for many years and now found a new patron in the U.S. government. To describe the anti-Peace Movement campaign as “U.S.-orchestrated” would be to miss the degree to which anti-Peace campaigning, and the ideological Cold War in general, depended on the voluntary action of individuals who sought U.S. support for their plans and schemes, rather than the other way around: individuals engaged in what might be called anticommunist entrepreneurship. Some of this “entrepreneurship” was purely opportunistic, but much of it married opportunity to conviction. In time, some of these “entrepreneurs” would become part of an established anti-Communist propaganda apparatus, their work institutionalized and professionalized. Those who had no other identifiable form of work would be called, usually derisively, “professional anti-Communists.” (The parallel structure to Lenin’s “professional revolutionists” was not intended to be flattering.) But, when it came to propaganda, the late 1940s and early 1950s was a less professional and a more entrepreneurial time: in both the labor and cultural fields, the networks that would sustain ideological anti-Communism were just being brought closer to the state interests of the U.S. government. The purpose of introducing the notion of the anticommunist entrepreneur here is neither to flatter entrepreneurs (whose behavior can be rent-seeking and predatory as well as socially useful) nor anti-Communists (who could be unscrupulous, short-sighted, and worse), but to suggest that, like entrepreneurs in business, these anti-Communists took advantage of new opportunities to provide a service—where the consumers were, in this case, political interests. What was new about the Cold War was not the anti-Communist activism, which had deep roots, but that the United States government’s entry into the marketplace for their services expanded opportunities for these political entrepreneurs; indeed, over time, it grew into a quasi-monopsonistic purchaser of their services.